Everyone wants their office to be the most productive in the business. While this is an admirable goal, it can be hard to achieve due to the daily mundane tasks of office work. Office productivity can reach a low at times, but there are plenty of ways to help boost the morale throughout the office. When it comes to office design, utilize the areas where natural light occurs the most. Natural light is known to help increase productivity more effectively than light from lamps. 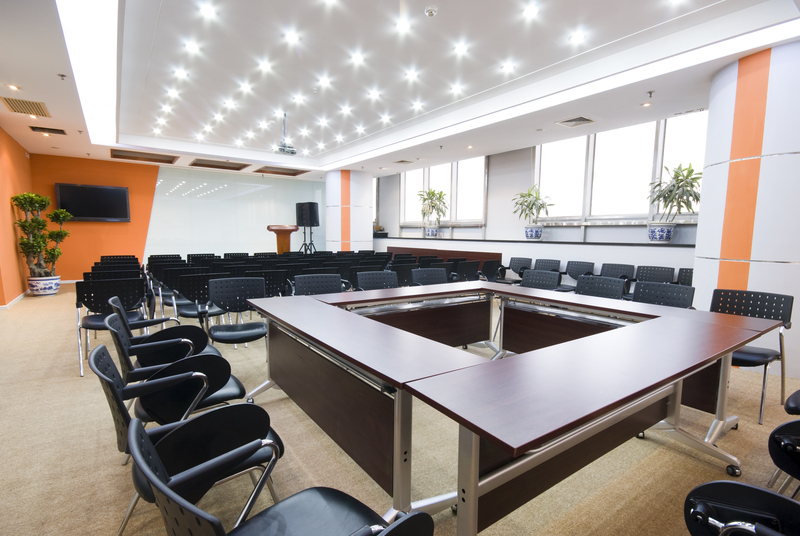 Avoid overhead lights when adding light sources throughout the office; they are known to increase headaches. When picking out furniture for your office space, choose ergonomic furniture. While they furniture may be more pricey, it is known to increase productivity throughout the office while also helping to promote healthier decisions for your employees. Feature artwork throughout the office. Interesting pieces will help boost creativity amongst employees while also helping with productivity. Avoid colors like highly saturated reds, oranges, and yellows when painting your walls. These colors are known to increase anxiety and cause distractions and stress. Choose cooler colors like blues and greens. Incorporate file cabinets throughout your office space to help keep employees more organized. This entry was posted on Thursday, September 25th, 2014 at 4:29 pm. Both comments and pings are currently closed.